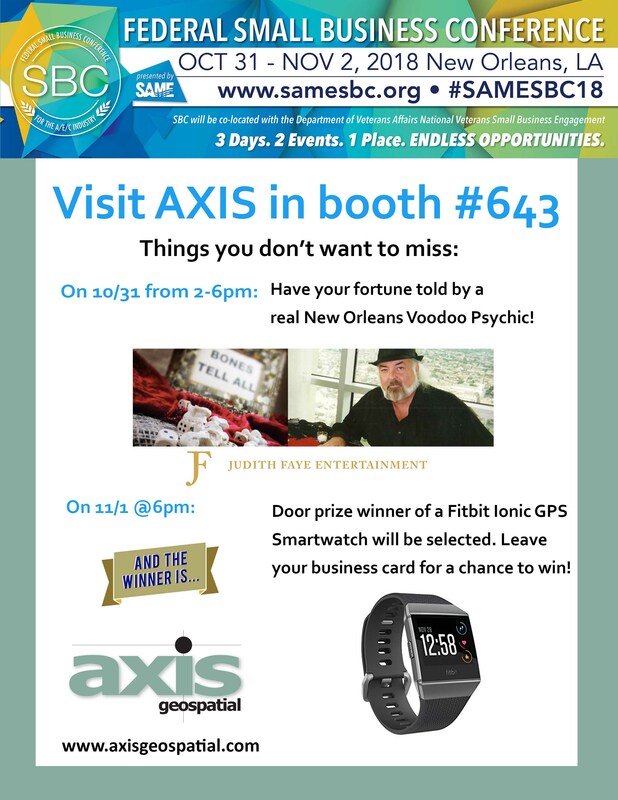 Be sure to visit AXIS in booth 643 at the SAME Small Business Conference in New Orleans, from 10/31 – 11/2! This year we have secured some “spooky” entertainment for the booth from 2-6 p.m. on Halloween. 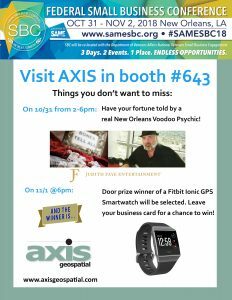 Stop by and have your fortune told by a real New Orleans voodoo psychic, and don’t forget to drop your business card for a chance to win a Fitbit Ionic GPS Smartwatch! The winner will be drawn at 6 p.m. on 11/1.